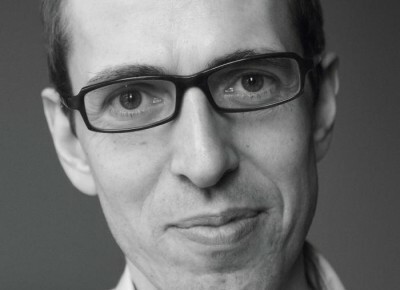 James Delingpole – on the attack again. How good it was seeing wind industry skullduggery exposed on the front page of today’s Telegraph. But there’s plenty more where that came from, I can assure you. The way the noise regulations governing the wind industry have been rigged by vested interests is one of the great public health scandals of our time. Now seems an excellent moment to run, as a guest post, this entry from the Spectator’s Matt Ridley Prize by Richard Cox, David Unwin and Trevor Sherman. It didn’t win but it was, in my view at any rate, a top contender. When granting planning permission for a wind farm the Planning Inspectorate relies on a fifteen year old noise assessment methodology known as ETSU-R-97 (ETSU) and we are not aware of them ever turning down an application based solely on its potential to cause noise nuisance. Yet, acoustics expert Mike Stigwood of MAS Environmental, one of the few consultants to act for local authorities and resident groups, is aware of 70 wind farms in the UK causing noise nuisance. However, the wind industry trade association, RenewableUK (RUK) routinely uses its lobbying muscle to divert public and government attention away from the noise issue and, in particular, amplitude modulation (AM), the most intrusive feature of turbine noise and the cause of most noise complaints. So who is standing up for local residents against these powerful forces? A typical scenario goes something like this. A wind farm is built. Local residents are shocked by the noise they were assured they would not hear. They complain believing there must be a mistake or fault with the turbines. The local Council do not investigate directly. Instead they ask the developer to check for compliance with the conditions laid down when the wind farm was approved. This takes 3-12 months, sometimes longer. The operator can reduce the noise output using various control mechanisms and the Council would have no idea whether this had been done. Regardless, the developer demonstrates compliance with the imposed conditions even though the horrendous noise continues. After a year many complainants have given up, depressed when they realise they are alone fighting a giant with apparently unlimited resources they cannot beat. The Council realises it lacks the financial resources to fight the developer so they tell the complainants that the wind farm complies with the original ETSU noise assessment, so it cannot be a nuisance. The local residents are left to suffer. Why is nobody listening to their distraught voices? As a minimum we might expect the ETSU approach to be scientifically sound and use reliable data. Sadly this is the not case. Noise is regarded as being too technical for most people including planning decision makers. It is therefore left to the acoustics experts who we might expect to act in our best interests. Sadly this is not the case either. Before 1997 industrial noise affecting mixed residential and industrial areas was assessed by use of a tried and tested British Standard (BS4142). It enabled a local Council to determine whether a noise nuisance existed and to enforce compliance. However, during the late 1990s there was a realisation by the wind industry, and a Government committed to renewable energy, that this standard would apply unacceptable constraints on the proliferation of onshore wind power. A more ‘flexible’ standard was required. A working group consisting of representatives from the wind industry and the then Department of Trade and Industry (now DECC) was convened and the resulting ETSU noise guidelines for wind turbines were issued in 1997. When a wind farm planning application is considered by the planners there are many issues to be assessed. Most of these, such as possible harm to landscape, heritage assets and ecology, are subjective value judgements. So a planning decision maker can easily justify a decision either way. The ETSU noise assessment is the only part of the process that involves a clear pass or fail. Implicitly there is a definite separation distance at which the wind farm would fail the test. So, although there is no statutory minimum separation distance between turbines and residences applied in English law, in practice the noise assessment provides one by default. The wind industry is fully aware of this hidden constraint on development. ETSU has worked out pretty well for the wind industry. Our own analysis of 67 onshore wind farm planning appeal decisions in the three years to Feb 2012 shows that no appeal was refused primarily on noise impact, not one. So how can it be that a growing proportion of the wind farms that have been built are giving rise to noise complaints? An increasing number of people have concluded that the entire ETSU methodology is based on pseudoscience that is being used to serve a business and political agenda and should be replaced with the reliable BS4142. Some, like us, are lay people with backgrounds in relevant sciences other than acoustics. Others come from the acoustics community itself and from environmental health officers concerned for their role in enforcing noise planning conditions. The principles behind ETSU are relatively straightforward. 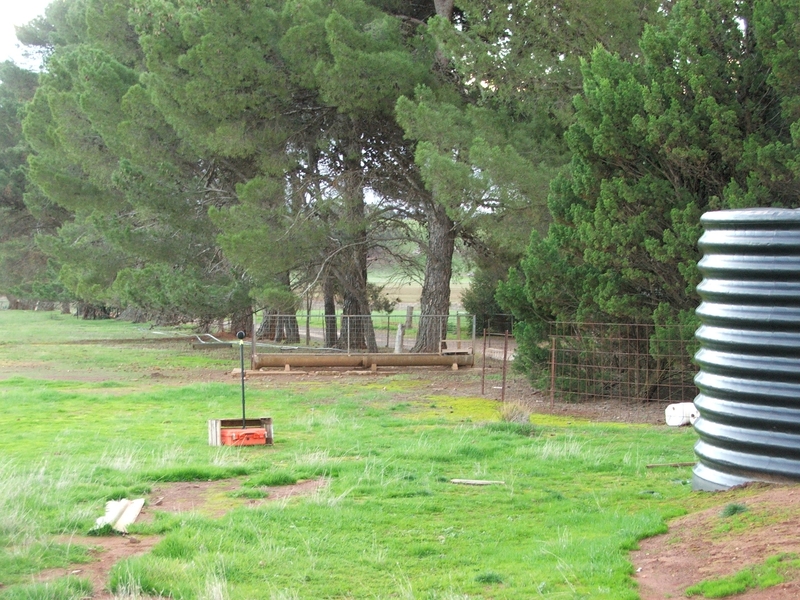 Noise from a wind turbine can be masked by existing background noise so it calls for a comparison of the predicted turbine noise with this background noise at each property assumed to be at risk. The background noise is measured by placing microphones at these locations. The assessment requires a combination of acoustics, physics, meteorology and statistical analysis, which we have recently characterised (Science in Parliament, Summer 2013) as a “three-legged stool’. The first leg involves measuring the background noise at various wind speeds. The second involves predictions of the turbine noise at all the ‘at risk’ properties. The third involves comparison of the two previously produced data-sets. Earlier this year in a report titled ‘The Bad Science behind the Wind Turbine Noise Guidelines’ Cox and Unwin detailed numerous scientific concerns, demonstrating that all three legs of the ETSU ‘stool’ contain pseudoscience, but the failure adequately to allow for wind shear has the most serious implications. Wind shear is the effect where wind speed at turbine height is greater than at ground level where people live. The effect is highly variable, changing throughout the day with many sites experiencing high wind shear for more than 10% of the time, typically during the night. It has three very important effects. First, the generation of power and hence turbine noise is related to the wind speed at the turbine height whereas the background noise masking the turbine noise is related to the wind speed at ground level. High wind shear results in greater turbine noise and lower background masking noise than assumed in the ETSU assessment. The latest Government guidance now mandates a sophisticated and deceptive averaging process for wind shear that fails to consider the periods when wind shear is high. Second, wind shear plays a major role in the propagation and intensity of outdoor noise through its effect via refraction. The science behind this has been well known since the 19th century but is not considered by the current guidance. Hardly surprising then that turbine noise is being under-predicted resulting in the increase in noise complaints. Third, the occurrence of amplitude modulation (AM), the loud beating, slapping or banging noise from wind turbines, is closely correlated with periods of high wind shear. AM is the most intrusive noise characteristic of wind turbines. The wind industry and DECC consistently maintain its occurrence is rare but evidence collected by Mike Stigwood shows that AM is responsible for all of the 70 cases of noise nuisance where he has collected data. The Government’s exclusion of AM from the assessment guidelines is a major concern. In addition, there is mounting evidence of significant levels of low frequency noise (LFN) being measured inside homes located near turbines. LFN directly affects the health of residents even where the turbine noise is either inaudible or barely audible at all. The wind power industry and Government have consistently denied the presence of LFN. 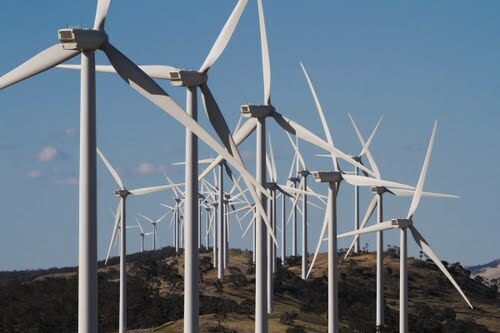 However, due to concerns regarding wind turbine LFN elsewhere the South Australian Environment Protection Authority has said it will conduct full spectrum monitoring, inside and outside homes,. Similar action is also being taken by the Government of Ontario, Canada. Wind farm LFN has all the makings of a future UK health scandal. Since ETSU was written in 1997, wind turbines have become much larger and there has been a greater understanding of the basic science that should underpin noise assessments. Any neutral observer might have expected a substantial revision of the guidelines, or, at the very least, some careful attention to address the widespread criticism that ETSU has attracted. This has not happened. In 2012 DECC commissioned the Institute of Acoustics (IoA) to review how ETSU is applied and produce a Good Practice Guide (GPG). Strangely, the DECC terms of reference excluded consideration of noise limits, excluded a rewrite of ETSU and excluded consideration of the health effects of turbine noise. Incredibly, amplitude modulation (AM), the most troublesome aspect of turbine noise and the cause of most noise complaints, was also excluded. The bizarre reason given for this is that, through its trade association RenewableUK (RUK), the wind industry was conducting its own study into the phenomenon. This is like asking the fox to guard the chickens. It was abundantly clear that DECC wanted the IoA to produce a GPG that endorsed the continued use of ETSU and to eliminate the on-going distraction of scientific challenges to ETSU. True to form, the IoA agreed to the terms of reference and convened a working group including its favoured acoustic consultants and other parties with an interest in supporting the wind power industry. Amazingly, given the importance of wind to the entire assessment and of the way the data are analysed, the group did not seem to contain a qualified meteorologist or statistician. A token public consultation was conducted during the summer of 2012 and the final GPG was issued in May 2013. Although several qualified individuals provided consultation responses identifying serious scientific failings with ETSU and the draft GPG, all were ignored. The published GPG now adopted by Government endorses some of the worst examples of pseudoscience we have seen. As a result the new guidance will permit even higher noise levels to be inflicted on local residents and by default shorter separation distances for developers to exploit. So who is guilty of perpetuating this pseudoscience? And why do they do it? First and foremost, by their fanatical encouragement of wind power, politicians should head the list. The great wind power scam started with the previous Labour Government and the introduction of over-generous subsidies. But responsibility for enabling it to continue under the Coalition Government clearly points at the equally fanatical support from civil servants at DECC led by Chris Huhne and subsequently Ed Davey, we assume quietly supported by David Cameron and Nick Clegg in their quest to be ‘the greenest government’ ever. Second, over the entire period from 1997 onwards most of the acoustic advice drawn on by DECC has been provided by just two acoustics consulting companies, Hayes McKenzie Partnership (HMP) and Hoare Lea Acoustics (HLA). When we reviewed the DECC sponsored studies, noise working groups and reports produced since the late 1990s we found that HMP and HLA were represented in every instance with DECC reliant on them for acoustic advice. HMP and HLA are also the largest players in the wind farm acoustics consultancy industry acting for wind farm developers. The conflict of interest could not be greater. Third, a close reading of the ETSU Good Practice Guide alongside those consultation responses that the IoA chose to publish shows that, without any attempt at justification, all the submitted scientific evidence that challenged the guidance given by HMP and HLA has been ignored. Any semblance of a peer review process has been reduced to a sham. The IoA likes to present itself as a professional organisation. In endorsing the actions of DECC, HMP and HLA, somehow we doubt it. So why is nobody listening? There is a big difference between “listening” and “hearing”. I’m listening – I just don’t want to hear you. In South Australia it’s the Muppets that work for its rotten little EPA that simply refuse to hear. Sure they’ve pretended to “listen” to the long-suffering locals at Waterloo – but key datasets taken during the “study” have gone “missing” – and locals keep sending STT photographs of the EPA’s noise loggers in the strangest of places. In a study that locals took years to force the EPA to do, these turkeys couldn’t even follow their OWN guidelines, which specify that noise loggers should be located away from trees and “at least 5 metres from any reflecting surface (other than the ground)”. They’re not “trees” – and that tank is not a “reflecting surface”. 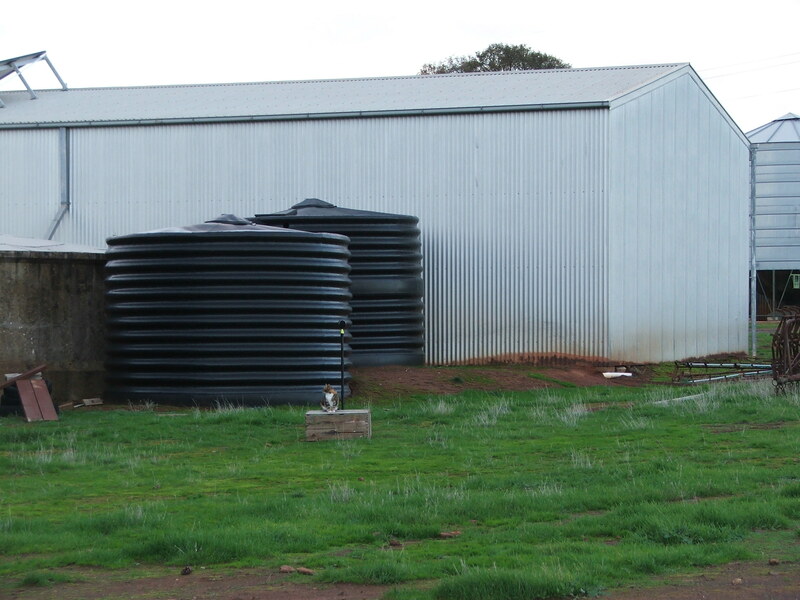 For another example, how about the “reflecting surface” of those rainwater tanks (less than 2m away) and that giant implement shed 5m away. Waterloo local, Tiddles investigates EPA incompetence at Waterloo. But at least the EPA was able to detect infrasound being produced by Energy Australia’s 37, 3MW Vestas V90s. Sure the EPA made the same wild assertions cooked up by the wind industry’s acoustic hacks about levels of infra-sound generated by giant fans being below the “threshold of audibility ”- which is funny as, by definition, infra-sound is noise at very low frequencies that can’t be “heard” but is, rather, felt and perceived. Check out this video where crack neuro-physiologist Prof Alec Salt explains the difference. And the EPA used the same filters and weightings that remove from measurements the bulk of the sound energy produced in the low-frequency range – for details on that little wind industry trick – see this post. For the EPA to even detect infrasound at Waterloo is a minor miracle – as Waterloo’s fans are just over 3 years old (they started operating in about October 2010). 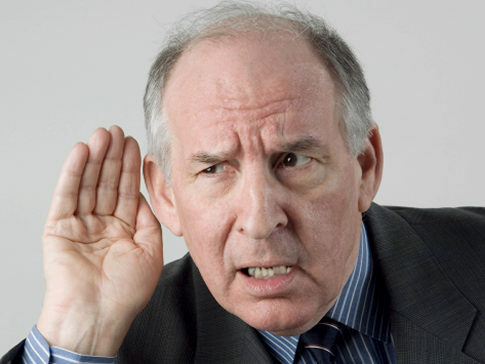 The “working group” that “helped” the EPA reach its “conclusions” on infrasound from “modern wind farms” was made up of the wind industry’s pet acoustic consultants – Marshall Day, Vipac, AECOM and Sonus – and Sonus – which used to brag on its website that it wrote the guidelines – was formed by blokes who worked for the EPA. Now how cosy is that! Is a wind farm that came into operation AFTER the EPA’s noise guidelines came into print in 2009 NOT a modern wind farm? Or is the EPA just a bunch of incompetents who simply parrot whatever their wind industry mates tell them to? annoying the hell out of locals since 2010. It’s not only ‘hearing’ which is the problem but ‘seeing’, with evidence such as the above photographs. There’s plenty of evidence that the Waterloo testing was nothing but a farce. Evidence such as this should be waking up all those people, including politicians, to the truth they have been told about the lies and misrepresentation of the truth which has gone from proponents of the wind industry. No-one can continue to deny that cover-ups have been going on since the industry began operating. Telling lies and misleading people in this way has only one purpose – to commit fraud – they only undertake such an action to ensure they can thieve from Governments, investors and the public. They steal money, people’s health and livelihoods, while destroying the environment. Being in breach of a duty of care may constitute negligence. The EPA officers responsible for the competent misrepresentation of ‘compliance’ are plainly negligent. The test now is whether they, their ministers or the industry they serve are accountable to the Law. Signs overseas are promising. Keep up the good work STT. Perhaps the way to get ‘them’ to hear is to support and build on the speech by Senator Madigan on 10th December 2013. The payment of RECS without compliance is a breach of the regulations and must be pursued but in addition is the ‘fraud’ relating to noise testing and compliance plus the fraud of inadequate guidelines when ‘they’ know better. There is also the fraud relating to the usefulness of wind power and its failure to reduce emissions once it’s part of the grid system. If each of us writes to Senator Madigan with every detail of one of these when we see it actually occur, then he can continue to build on the dossier he already has. Then at some time, the scale will tip. Senator Madigan is clearly only using ‘factual’ evidence rather than opinion or theory so that’s what he should get. I hope they lock the doors and throw away the key, George! Not too far down the windy track, someone is going to get some of these wind weasels and greentards behind a shed and sort them out. Don’t go crying like babies, you wind weasels and greentards, about your fraudlant scams, as the public have just about had enough of your rot. I hope all you pollies are listening as well! Wind Turbines and industry create noise. When it is too close to homes, the residents suffer. The point is they they will not test in a way that will reveal the problem. The test is wrong. They follow the guidelines – but the guidelines are also wrong. They must be. The amount of times I am woken by noise would be the most accurate measure. Maitland Council needs to stop being so dollar focused and listen to its residents. “They” will only listen when the money stops flowing, or when they are hurled into gaol for corruption and crimes against humanity.